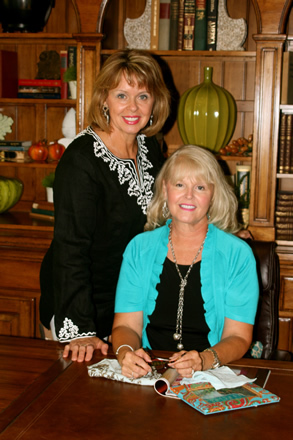 Betsy Kozlow and Angie Ward have been in the design business for over 15 years. They completed their first project together in 1999. Since that time, they have enjoyed tremendous success in Interior Design and formed lasting relationships with clients spanning the US. Betsy and Angie have extensive experience staging sale and resale properties, setting up various Furniture Market showrooms, furnishing beach rental properties, as well as designing and furnishing outdoor living spaces. Contact us to learn more. Summer House Designs is happy to partner with realtors and vacation home realty companies. One of their realtor partners is Mary Munroe of Bald Head Island Vacations and Sales. If you would like more information about Bald Head Island, homes for sale or vacation rentals please contact Mary at 910-457-1939. If you have any design or furnishing questions please contact Summer House Designs. "We were so fortunate to meet Angie and Betsy, the owners of Summer House Design, and have them help us furnish our beach house. More important than their great taste and fun attitude, they have years of decorating experience, and know what will work on Bald Head Island, where to find it, and who to hire to get it done. There were so many small details that they helped with that made the process go so smoothly. Its been four years since our job was done, and all the furnishing have held up beautifully, even with the hard wear and tear a beach rental home experiences. I recommend them from bottom of my heart!"